Showing results by author "Clarity Hawkins"
You need to hear this book because it will help you dive deeper into the world of Ellen Marie Wiseman. What She Left Behind by Ellen Marie Wiseman is a touching novel that has so many lessons and thought-provoking ideas about society to offer. It's a great listen for anyone looking to learn more about mental illness and how mental illness is defined by society. The book is wrought with feminism and is sure to be enjoyed by women of all ages. 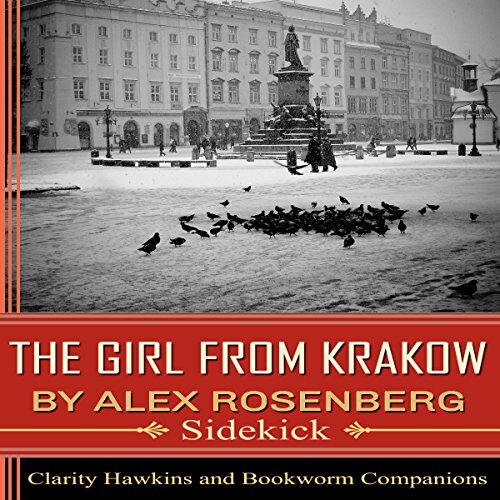 The Girl from Krakow is a wonderful book that pays tribute to the atrocities of the Second World War. The author does a great job of highlighting the confusion and tragedy, but also shows that there was much beauty lingering throughout the war despite everything.